This article continues our series Cross-Talk: Space Law in Down-to-Earth English. For prior articles in this series, click here. Companies like NASTAR aim to provide standardized training for suborbital spaceflight participants, but the curricula are anything but standardized. 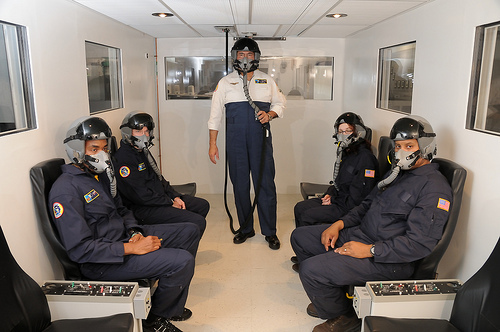 Pictured here, a NASTAR class in the altitude chamber (Credits: NASTAR Center). Commercial space in the U.S. is regulated by a law called the Commercial Space Launch Act (the “Launch Act”), which is codified in Chapter 51 of the United States Code. And the FAA implements the Launch Act through regulations (the “Regulations”). Under the Launch Act, “crew” is any employee of a licensee or of a contractor or subcontractor of a licensee, “who performs activities in the course of that employment directly relating to the launch, reentry, or other operation of or in a launch vehicle or reentry vehicle that carries human beings.” 51 U.S.C. § 50902(2). An SFP is “an individual, who is not crew, carried within a launch vehicle or reentry vehicle.” 51 U.S.C. § 50902(17). The provider of space transportation services is referred to as the “operator.” Congress, through the FAA, requires operators to obtain “informed consent” from spaceflight participants (“SFPs”) prior to sending them into space. Neither the Launch Act nor the Regulations create medical or training requirements for SFPs although the FAA has issued some guidelines regarding both topics. This is consistent with the FAA’s overall safety regime that limits itself to protecting the safety of the public and leaves safety of SFPs and crew to the operators. 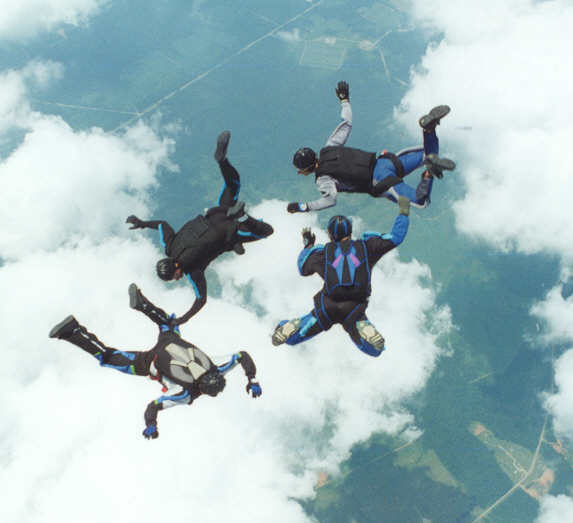 In 2004, Congress gave the FAA authority to create training and medical standards for SFPs. However, largely at the request of industry and space industry supporters, the FAA has yet to do so. In addition, the Launch Act prohibits the FAA from proposing regulations governing the design or operation of a launch vehicle to protect the health and safety of crew and SFPs until October 1, 2015, or until a design feature or operating practice has resulted in a serious or fatal injury, or contributed to an event that posed a high risk to crew or SFPs during a licensed commercial human spaceflight. But in exchange for such freedom, Congress requires operators to go through an informed consent process. The guidelines were developed by the FAA’s Center of Excellence at University of Texas Medical Branch and can be found here. The guidelines list topics and conditions to be addressed while taking a patient’s history and the components of a recommended physical examination, to be performed by a trained aerospace medicine physician. The guidelines suggest that the initial medical screening take place within 6 months of flight. an opportunity for the SFP to ask additional questions. the total number of launches or reentries conducted with people on board and the number of catastrophic failures of those launches or reentries. whether any corrective actions were taken to resolve these accidents and human spaceflight incidents. Lastly, an operator must inform the SFP that the SFP can ask for additional information regarding accidents and human spaceflight incidents. In the same context, the SFP must be given an opportunity to ask additional questions. The final written consent must identify the space launch vehicle it covers, state that the SFP understands the risk and that their presence on board the vehicle is voluntary, and be signed and dated by the SFP. Overall, the SFP must receive a written disclosure of the known hazards for each mission “that could result in serious injury, death, disability, or total or partial loss of physical and mental function.” 14 C.F.R. § 460.45. And an SFP must be informed in writing that there are unknown hazards and their participation in spaceflight may result in death, serious injury, or total or partial loss of physical or mental function. 14 C.F.R. § 460.45. 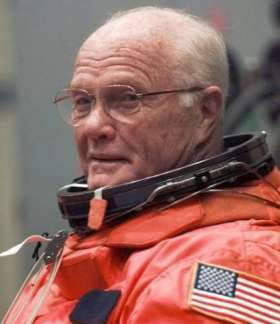 Currently, John Glenn at age 77 is the oldest individual to have traveled to space. That could soon change (Credits: NASA). Here is where things get even more interesting. Whereas traditional space endeavors, such as the ones carried out by NASA relied on carefully screened and thoroughly trained astronauts, commercial space aims to provide transportation for a broader segment of the population. This brings with it a completely new universe of medical issues: older individuals, previous cardiac episodes, risk of cardiac episodes, diabetes, surgery or overall lack of physical fitness, to name a few. These were issues more readily eliminated when spaceflight was government-only business. But now? All of these issues may need to be addressed by commercial space companies. This has arguably created the need for aerospace medicine professionals to become involved in the “informed consent” process. An SFP must be told about the “known hazards” for each mission. But, those hazards may vary from person to person, depending on their particular physical condition and health history. As a result, commercial space may begin to seek out aerospace medicine physicians who can advise SFPs and operators on a case by case basis. This is particularly needed because there is relatively little data for particular SFPs’ profiles. In addition, aerospace medical companies can inform engineering and operations decisions by providing medical support, recovery, and (if necessary) evacuation services tailored to each mission profile. Lastly, there is a tremendous opportunity to gather, process, and analyze data on larger numbers of individuals with a broader array of physiques while they travel through both orbital and suborbital trajectories. This opportunity will undoubtedly push technology towards creating better physiologic monitoring units and improved methods to process the data gathered from such units, among others. Companies capable of delivering such services will become increasingly sought after and valuable. Unlike the detailed informed consent requirements for SFPs, operators must only inform their crew that the U.S. Government has not certified the launch and reentry vehicle as safe for carrying flight crew or spaceflight participants. 14 C.F.R. § 460.9. In addition, the Regulations’ notification requirement requires only that an operator inform the crew that risks exist, not that it identify all potential operational and design hazards. The Regulations mandate that each member of a flight crew and any remote operator must execute a reciprocal waiver of claims with the FAA. Human Spaceflight Requirements for Crew and Spaceflight Participants, 71 Fed. Reg. 241 (Jan. 4, 2006). There are no such mandatory cross-waivers for the benefit of licensed operators.The absence of mandatory cross-waivers means that crew and operators are entitled to, and should, address issues of liability contractually. For an example of such cross-waivers, and possible contractual language, see Appendix D of the Regulations. Despite the fact that crew members are not required to provide informed consent, there are, however, certain medical requirements for crew members (which don’t exist, as detailed above, for SFPs). Crew members must have a Second Class FAA medical certificate. There is debate in the aerospace medical community regarding whether this is sufficient. There is also little data about the advisability or feasibility of a single pilot performing multiple suborbital flights in a single day or week or month. Again, data gathering and processing will be useful, in addition to other measures such as medical examination, to understand these issues. So Can I Go? It Depends. Like jumping out of a flying plane, suborbital flight comes with risks. Sign a form and get your doctor’s ok, and you may be free to make the leap (Credits: US Army). As an SFP, at this time, the only thing standing between you and a suborbital flight (other than the ability to find between $90,000 and $200,000 for the ticket) is the operator. And the only requirement imposed on the operator, is to properly inform their SFP of the dangers created by the vehicle and the flight profile. Although the informed consent process does not, on its face, address medical risks, it would be advisable for operators to cover those and develop them with a lawyer who understands both the risks and the particular laws governing releases and waivers for that operator. How operators will decide to screen their SFPs, if they decide to screen at all, will be on an operator by operator basis. Some entities may take a different approach. Some entities may decide that opening space to humanity is not about “screening” but about accommodating people to reach that goal and that human beings are entitled to take risks, if they are informed of the risks, and choose to do so anyway. Indeed, our entire civilization required risk takers and dare devils to get us where we are: from the first person to pick up their belongings and trek out of the African cradle of human civilization, to scientists, adventurers, and explorers. Great risk can bring great rewards: and we’ve built thousands of years of civilization on that gamble. The fact that suborbital flights are recreational does not diminish that fact. What may start as a recreational endeavor can spur research and interest in the area and can eventually develop into an ever-expanding envelope of tourism. Indeed, two brothers building crazy contraptions in their garage spurred an industry that is now as common as it is crucial to our daily lives. Giugi Carminati is a litigator in Houston, Texas. She practices commercial litigation, qui tam litigation, and white collar criminal defense at the trial boutique Berg & Androphy. She is also co-owner and co-manager of ADE Aerospace Consulting, LLC. Giugi has published numerous articles on commercial space and co-authored The Laws of Spaceflight: A Guidebook for New Space Lawyers. Giugi has an LLM in Space, Cyber & Telecommunications law from the University of Nebraska Law School. Finally, in 2012, Giugi published her first science fiction novel, Sparcus: Broken Worlds.